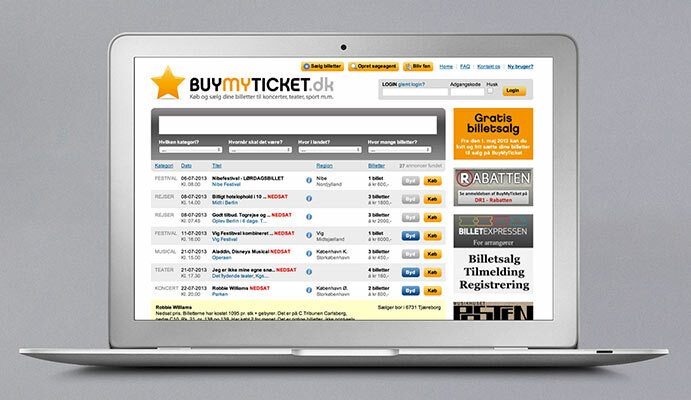 BuyMyTicket.​dk is a Danish web application which facilitates the sale and purchase of tickets between both private and commercial parties. 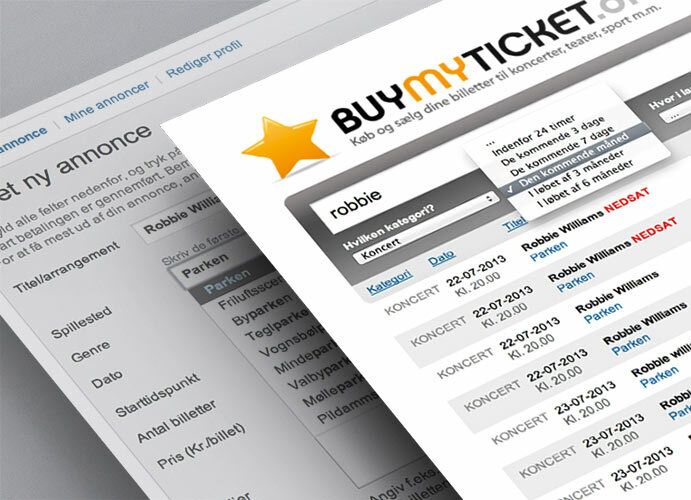 These can be tickets to concerts, theatre productions, sports events and so on. 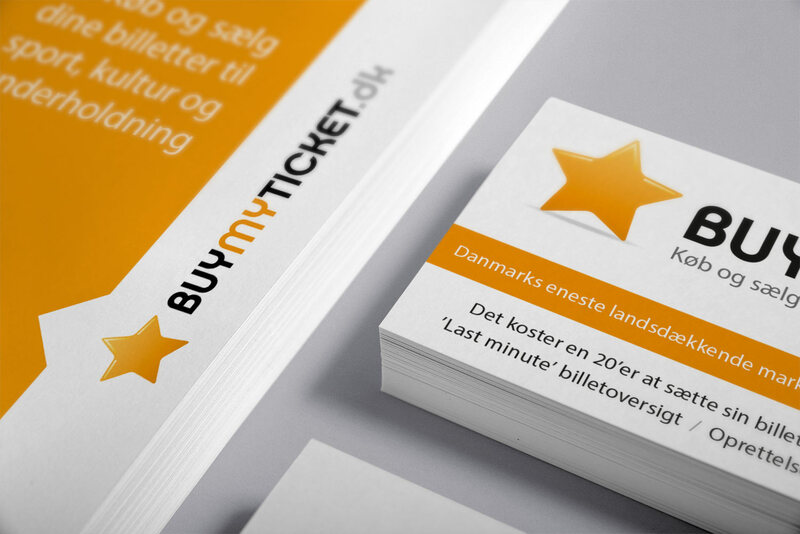 The portal was developed in 2008 and we were responsible for the logo, visual identity, concept development, UI and back-end development. The heart of the portal is a dynamic search feature that allows for accurate and efficient selection and filtering of ads. 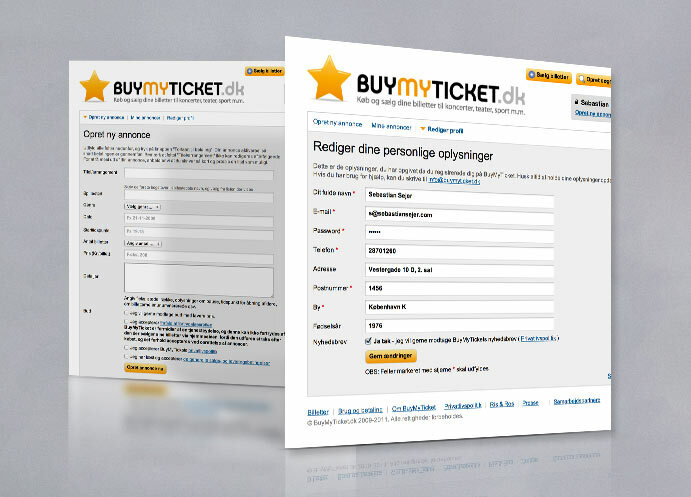 Initially the business idea was based on payments from vendors, but since 2013 there has been no charge for selling tickets.